(Natural News) It’s back to the drawing board for Monsanto, after an Arkansas state judge refused to overturn a ban on the use of the company’s dicamba herbicide between April 16 and October 31. According to the Associated Press, Judge Chris Piazza of the Pulaski County Circuit Court dismissed a lawsuit by Monsanto which sought to overturn a decision by the state Plant Board banning the use of dicamba for a six-month period. Although several states have enacted bans or restrictions on dicamba, Arkansas has imposed the toughest legislation. The Plant Board imposed the ban after receiving close to 1,000 complaints last year from farmers whose non-dicamba resistant crops were destroyed by pesticide drift. Judge Piazza referenced a January state Supreme Court ruling which found that the state cannot be forced to defend itself in court. Monsanto, which hopes that U.S. farmers will plant over six million acres of dicamba-resistant cotton and 40 million acres of soybeans this year, was “disappointed by the court’s decision” and vowed to consider further legal steps. The company insisted that the Supreme Court decision violates Arkansas’ constitution, and that the state had not given enough consideration to the economic impacts of its decision to ban dicamba. The company’s attorneys also insisted that since Monsanto was not seeking monetary compensation, the state had no grounds for claiming immunity. The Plant Board’s attorneys argued that the state had acted neither illegally nor unconstitutionally and was therefore justified in its claim for immunity. Last month, conservationists, farmers and public interest organizations launched a protest against the Environmental Protection Agency’s approval of Monsanto’s dicamba-based XtendiMax herbicide, which is designed to work in tandem with soybean and cotton seeds genetically modified to resist the chemical. Though dicamba has actually been commercially available for decades, farmers previously only applied it to soil before planting their crops. Now, however, farmers have started applying it to their crops after planting, a use for which dicamba has not been approved since it is highly volatile and easily airborne. 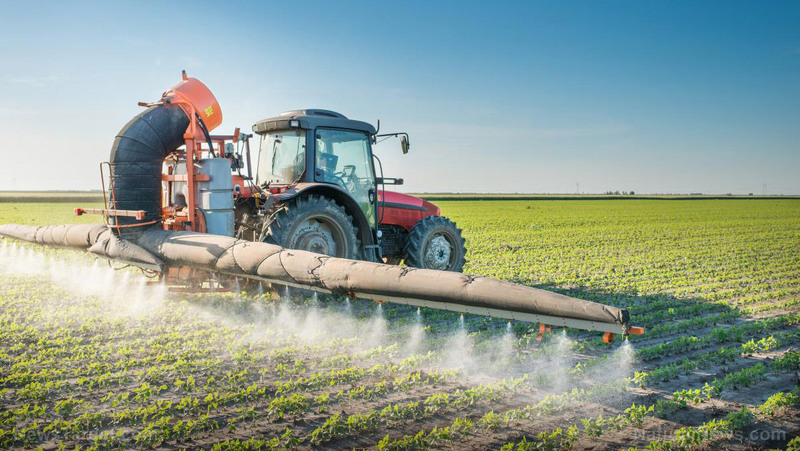 This means that dicamba can drift across wide areas, contaminating crops that are not resistant to it, and even affecting the integrity of organic produce. “If dicamba lands on a field that isn’t planted with Monsanto’s dicamba-resistant crops, the impact can be devastating,” explains Modern Farmer. Read Dicamba.news for more coverage of dicamba.